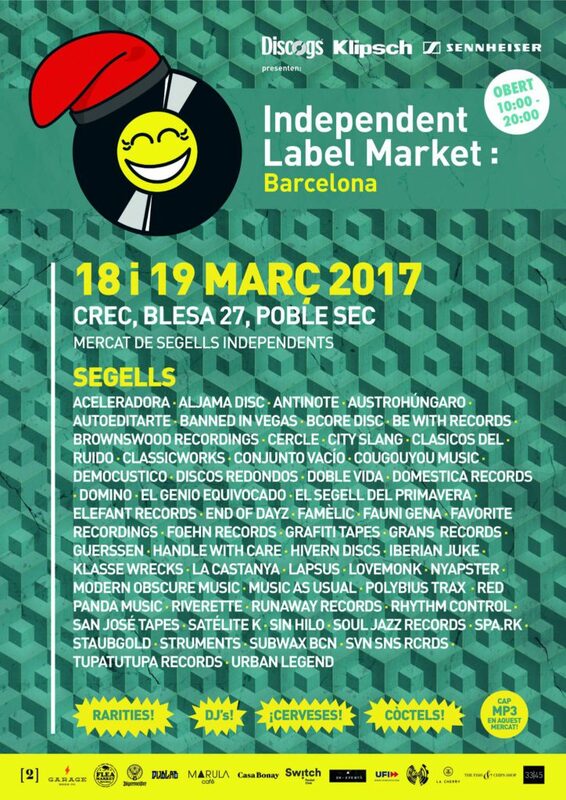 Following a successful debut in 2016, the Independent Label Market returns to Barcelona with another edition of the record fair which features the finest local imprints alongside several important imports from around the continent. Over 40 independent publishers will unite for a weekend at the CREC converted warehouse in Poble Sec, to meet face-to-face with collectors and casual fans alike, fuelled by Garage craft beer and fine street food prepared by The Fish and Chips Shop. To keep spirits high, La Cherry Coffee will be serving hot drinks all weekend. Here you have all the information.